It is true that you almost cannot see recumbents on Eurobike. Well, HASE had quite nice stand among halls, but other producers (two or three?) were hidden somewhere outside of all the action. So it is very difficult to come with some more recumbent pictures and news from such big show as the Eurobike is. But, as another news we can see the Toxy trike which was standing somewhere, but not on their own stand. They simply didn´t have the stand there. 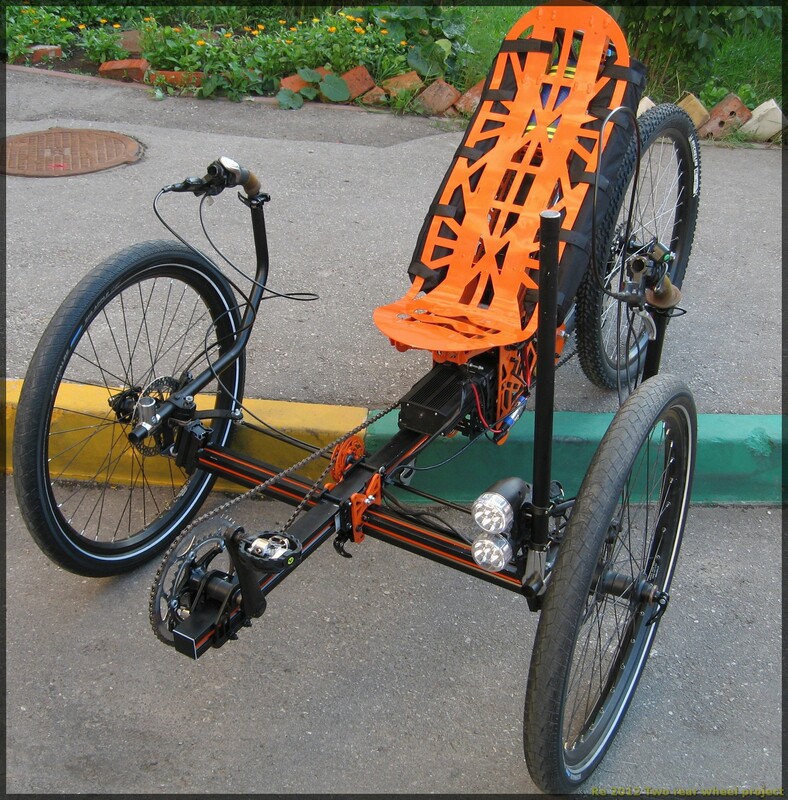 At the first look the trike looks great and all the technical details seems to be perfect. But if you look closer you realize that the complete front part is from Pirol trike which was shown on couple of other places around the show. The difference is the Toxy uses the 20″ rear wheel, compare to Pirol´s 26″. Sure this is a good change, because we st on the Pirol and tested it on the e-bikes test track and from our point of view it was not what we expected. The Pirol trike is too high and when cornering you feel a movement of the rear swing arm and you definetely do not feel stable on it. So it seems that the 20″ rear wheel will be solution. But as you can see from pictures, the upper chain lead goes through the front suspenion complicated part which would definetelly cause some troubles with the chain line. Right now, it is OK, because it has only single front chain ring, but we would say that many customer would like to have some MTB components on such technicaly and off-road looking trike. Well, Toxy presents it as a prototype so we think they will improve this and that and it might be quite nice trike after. In photogallery you can see the yellow Toxy prototype and the blue one is a Pirol trike.